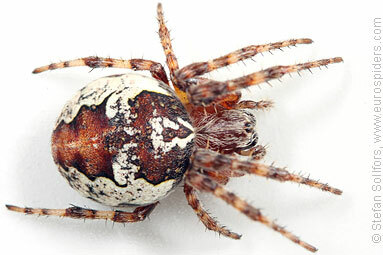 Female Larinioides patagiatus from above. 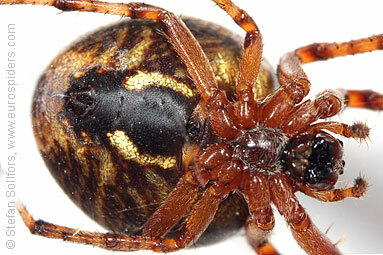 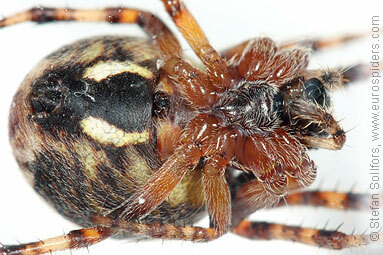 Female Larinioides patagiatus, head-on view. 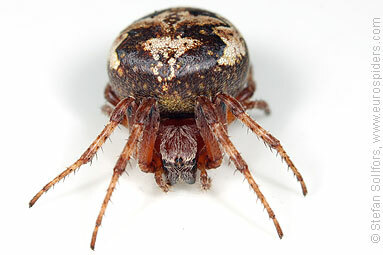 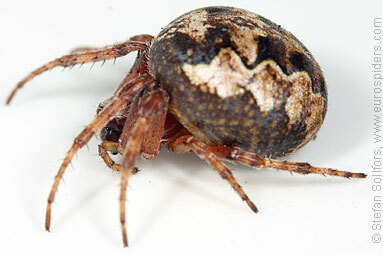 Female Larinioides patagiatus, side view. 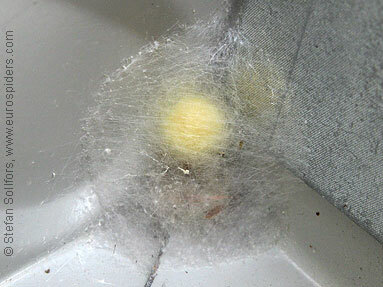 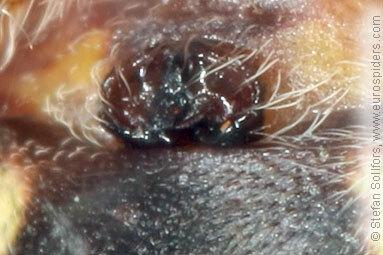 Egg sac of Larinioides patagiatus. 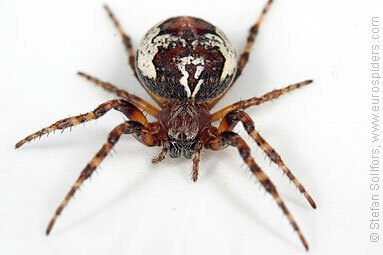 Female Larinioides patagiatus from below. 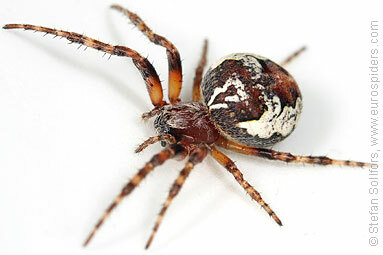 Female Larinioides patagiatus. 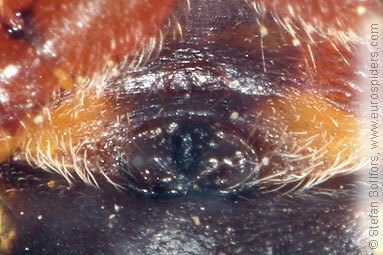 Close-up of the epigyne. 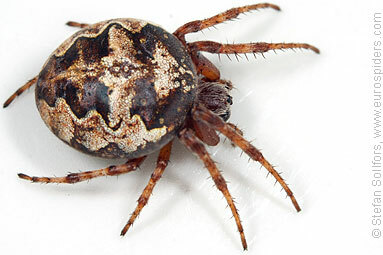 Female Larinioides patagiatus, 12 mm. 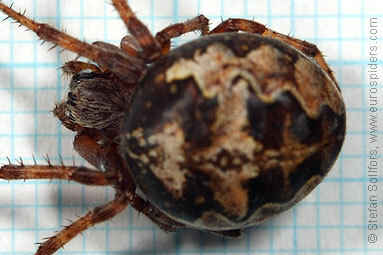 Unusually large specimen. 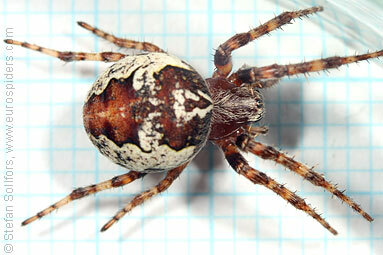 The Ornamental orbweaver, Larinioides patagiatus.